Proposal is for a 14 unit multi-family buildings: (2) six plex and (1) duplex. On-site parking is proposed. Proposal for a 4-story mixed use multi-family apartment project with ground floor retail. No parking provided. Pre-app conference for a Type III review of proposal to demo existing bldg and replace with new construction of 14,780 sf mixed occupancy two story structure. 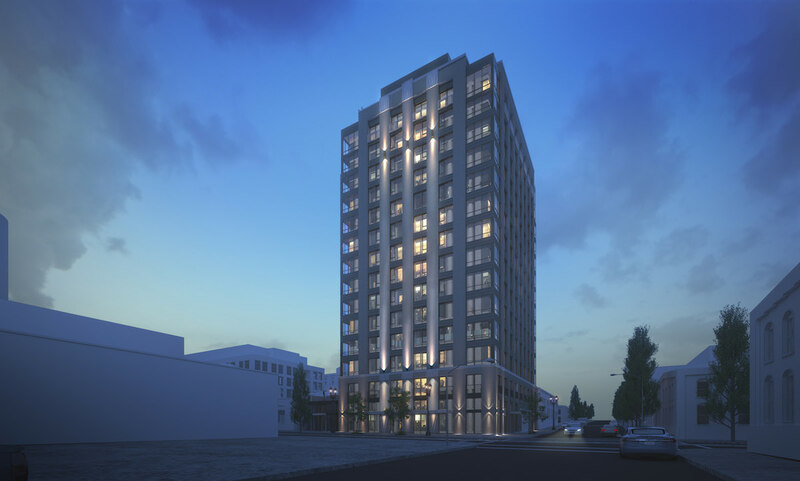 New 14-story, 102 unit residential building with 2 ground floor retail spaces. 50 mechanical parking spaces plus 2 ADA parking spaces. Proposed 5-story building that will contain Memory Care rooms and Assisted Living Residential Units with underground parking and a basement. Renovate & expand existing building to provide 900 units of self storage. Demo existing building and new construction of a 1300 uni self storage building. Renovation of & addition to existing building. Proposed self storage of 900 units. Proposal is for four over one apartment building on the south block, a row of two story townhomes on the north block separated by a large plaza. Also requesting an additional 10 ft in height per the St. Johns plan 33.583.250. Pre-app conference for change in zone from IG1 to EX for apartment development. 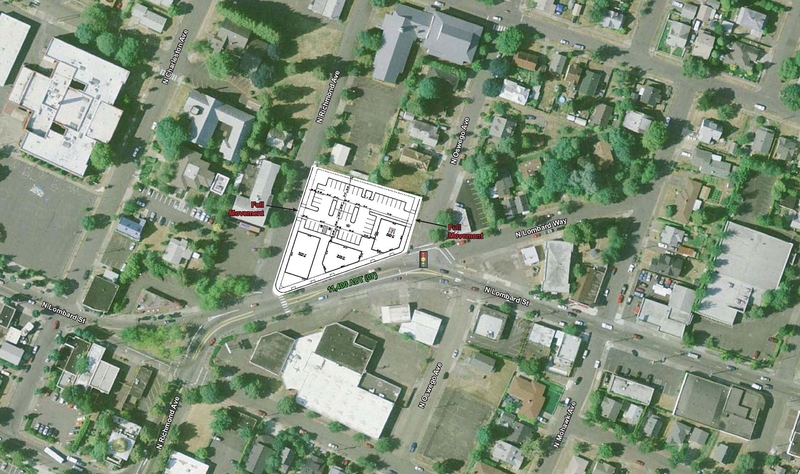 New 3-story, 40-unit apartment building with surface parking lot. Development of a four story 52 unit housing complex; a two story commercial medical office bldg and associated site work. On-site parking on an existing developed site. New construction of a four story 121 unit apartment building with basement parking. With mechanical permit 16-119795-MT. Core and shell renovation of existing full block Oregonian building. Partial change of occupancy, convert basement offices to parking. New entrances and windows, new ramp to parking. Reinforce mezzanine for live loads, new opening in elevator shaft for new stop. Relocate existing generator. New restrooms, locker rooms, and showers. Core & shell renovation of two story Mason Erhman building annex converting it from warehouse use to creative office tenant use. New apartment building – 30 apartment units. 4 stories. New construction 2 story sprinklered building with basement and roof deck. For a child care facility. Proposed multi-family dwelling project to include a 13-unit building and four four unit town home building in the R1,R1C zone. New 22,000 sf one story retail building with parking. 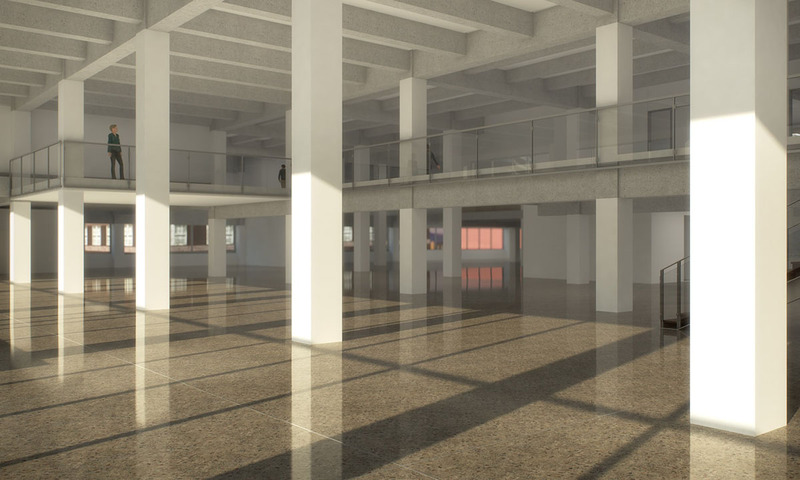 Redevelopment for 27,750 SF of ground floor retail with a mezzanine level for loading purposes. +/- 50 parking spaces in the rear over 2 levels. New 3-story, 39-unit apartment building with surface parking lot. New single story 3,850 sf masonry shell building with associated site work and 18 parking stalls.